In a medium bowl, combine garlic powder, salt and pepper. 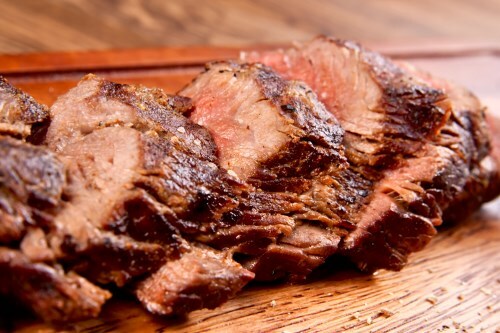 Mix together and coat both sides of tri tip. Sear both sides on hot grill then cook 20-25 minutes or until center is light pink. Slice at an angle.